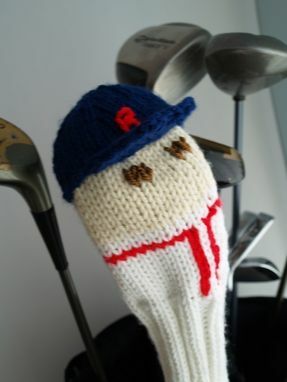 This Red Sox baseball player golf club cover has left the green monster behind to help you with your golf swing. 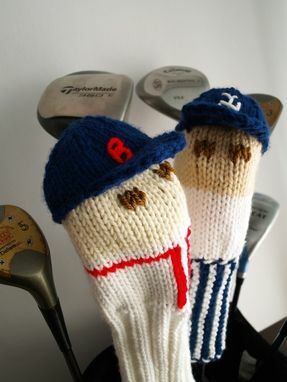 Sized to fit any club from the biggest driver to your little putter, this Boston Red Sox Baseball Golf Club Cover will put the power of your favorite baseball team behind your stroke. Made from Acrylic yarns so that it will not be ruined by a surprise shower, and it is machine washable if it gets dirty. 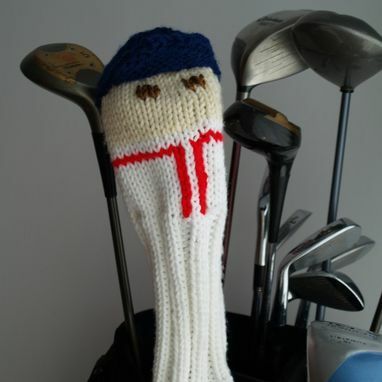 Your Red Sox golf club cover will be shipped to you wrapped in tissue and boxed up tight to prevent damage.